After a crab-pizza for dinner and a good nights sleep, it is yet another day of interesting talks on the EMBS conference. Another day of interesting talks! Agnese Marchini from Italy presented her research on foreign visitors in Venice lagoon. There are 71 non-native species in this one lagoon, most came from Japan, but also Indo-Pacific and other origin. Most of these have been introduced by boats, as Venice is the main port for cruiseships in the Mediterranean. There are also oyster and clam farms, who import the ”seeds” from other countries, enabling hitchikers to sneak along. The pacific oyster Crassostera gigas was first introduced in 1966 and expanded enormously in the mid 70’s, still showing a high rate of expansion. The brown macroalgae Undaria pinnatifida and Sargasum muticum are also present, forming large floating mats in favourable condditions. Many species have been shown to be poly-vector spread, meaning that they might arrive on an oyster but then hitch a ride with another species to spread further into the Mediterranean. If you want to look for new species in a harbour, the wooden structures of for example the diktalbs is a very good substrate for first settlement. It is not possible to eradicate the new species in Venice lagoon, but it might be possible to prevent new introductions and contain those who are there, with good management measures. Her collegue Jasmine Ferrario followed, in the same track, presenting her work as a PhD on investigating if harbours and nerby marinas share the same non-native species or not. 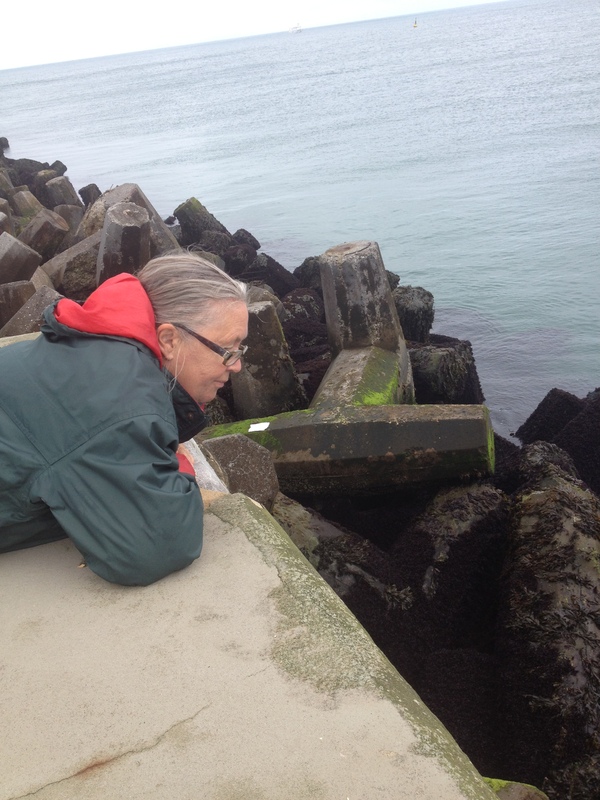 Sampling one harbour and one marina each in three different regions by scraping gave 16 non-native species out of 260 total number of species collected. Some species are recent arrivals, such as a cute ghost-shrimp, and they also found 2 new species not previously found in the Mediterranean Sea. One of them was also first record outside the Pacific Ocean! Jasmines research show how recreational boating is a vector which helps spreading new species in the Mediterranean. Harbours do not seem to differ in species composition, being fairly similar, but marinas do. The results that the marinas had the same or even higher number of non-native species was contraty to what was expected, and an important finding for management of the non-native species in the Mediterranean Sea. Anya Zalota from Russia then spoke of crustaceans, deapods in particular, found in Russian waters, pointing out that the far East is lacking information since it has not been studied. Many non-native species have been found, but not established, in Russian waters. The highest record of non-native species is of course the Black Sea, and the polar seas seem to have only native species. Taking previous speaker into account, this is only to be expected, since ther eis not much boating in the polar seas. Anya and her team are working in the Sea of Azov, just east of the Crimean, but also look at the distribution of the giant Kamchatka crab. They actually found one of these crabs in the White Sea, near the small marine station Kartesh in Chupa Bay, where we would like to go and looka at seaweed. There is also an ongoing expedition trying to determine the extent of the snow crab, which can be seen on the ”Deadliest Catch” TV-show. The invasions of snow crab seem to coincide with ice conditions the winter before a spread-phase. Although this crab can be caugth and used for human consumtion, there are worries that it is spreading too rapidly and might knock out the native Russian species. The best way of hindering an invasion is to fish it heavily, but one where other species are not damaged, the snow crab might be kept off the Russian shores. Nadezhda Berezina from Russia, who I have met on several conferences, then showed data from the Neva estuary and the Curonian lagoon in the Baltic Sea and how these estuarine environments are affected by nutrient loads, looking at biomass of annual macroalgae such as Cladophora, Pilayella and Ulva, and also how these ecosystems are dominated by crustaceans. At the ice breaker event when we arrived here this Sunday, Nadezhda told me that she has observed how Fucus is now establishing on the southern coast of Gulf of Finland on the Russian side. This is very interesting news, and it might be worth the hsasle of getting a visa and permission to go there to make some observations and sample, so that the speed of establishment might be assessed. Before coffee (and very nice cakes), Sabine Horn from AWI have investigated the rôle of birds in the Wadden Sea food web, asking which areas are most important for birds, how do they impact fodd webs and can they be used as indicators. The Wadden Sea is really shallow, with vast expamnses of mudflat containing different types of mussels and clams, seagrass meadows and lots of burrowing worms, all food for different birds. This is a very special area and I would like to go there, just to experience the flatness. The highest bird concentrations are found on the sand flats and the seagrass meadows, and Sabine show how the Wadden Sea food web has both top-down and bottom-up effects. After coffee Markus Brand showed the composition of the shallow fish community in Kongsfjorden at Spitsbergen on Svalbard. A very interesting arctic gradient was present in the fjord, with warmer water coming in and being cooled by meltwater from the glacier. They do some diving there, which I also would like to, as they only sample during summer when they can access the fjord. Stefanie Dekeyzer from WoRMS presented their new database World Register of Introduced Marine Species (WRIMS), wich is compiled by numerous experts and makes this data very accessible. Shasha Wang is working with Martin Wahl at Geomar in Kiel, trying to determine if the invasive forms of the red algae Gracillaria vermiculophylla have stronger defense against fouling by the red alga Ceramium spp. She has compared Gracillaria from Germany and France, where it has been introduced, to specimens from the species’ natural range in China and Japan. We were then very interested to hear from Torjan Bodvin, a Norwegian collegue, about the speed and rate with wich the pacific oyster Crassostrea gigas, is currently travelling up along the Norwegian coastline. Their rapid colonization might well be a problem, and I for one am ready to assist our dear neighbours by coming over to Norway and eat as many oysters as I can. We took our packed lunches and ate them on the pier by the beach, admiring the seaweed diversity on the breakwater structures. 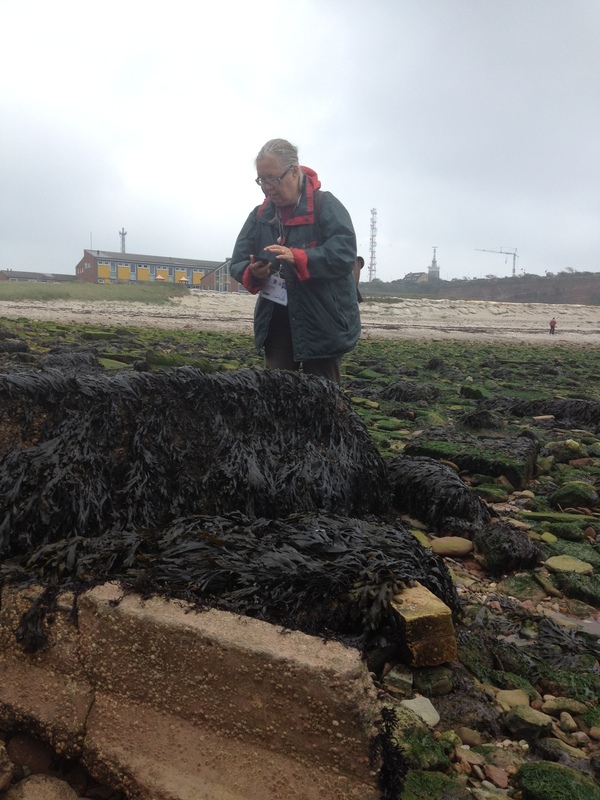 We then took yet another foraging walk on the beach, looking at what new species had been washed up since last tide. Today we found more red algae. I had expected several species of molluscs washed ashore, but so far there is only Gibbula sp, some Littorina obtusata and the odd fragment of Littorina littorea. Tomorrow we will walk on the other side of the island, perhaps there will be more shells there. 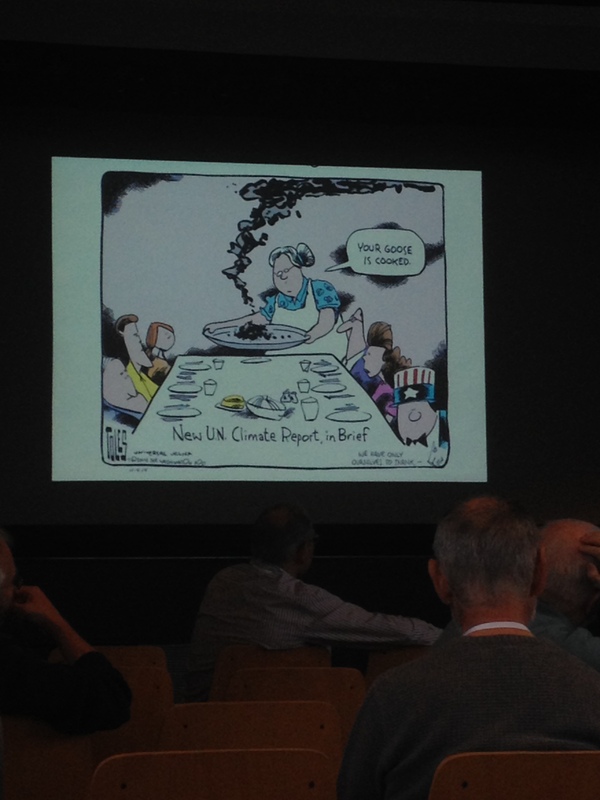 Tuesday plenary talk was by Hans Otto Pörtner, who has an immense publication list and is very inspiring. He was adressing the impacts of climate change on ocean biology. The feeling was a bit bleak, as the numbers for human impact on the oceans is not very happy reading. However, one must not give up hope on the effects of good management, hightened awareness and alternative methods in fisheries etc. 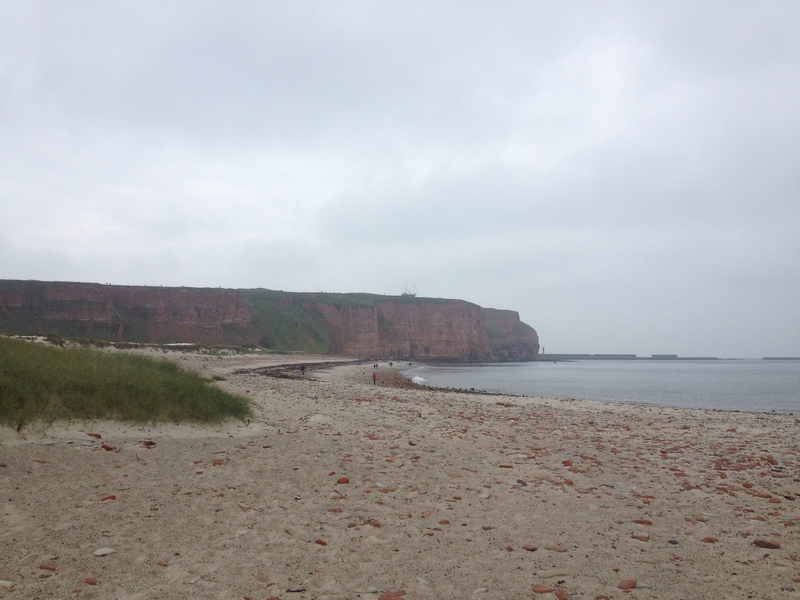 This entry was posted in News and tagged 2013 Water Year, conference, EMBS 2013, European Marine Biology Symposium, Helgoland, marine biology, North Sea, presentation. Bookmark the permalink. 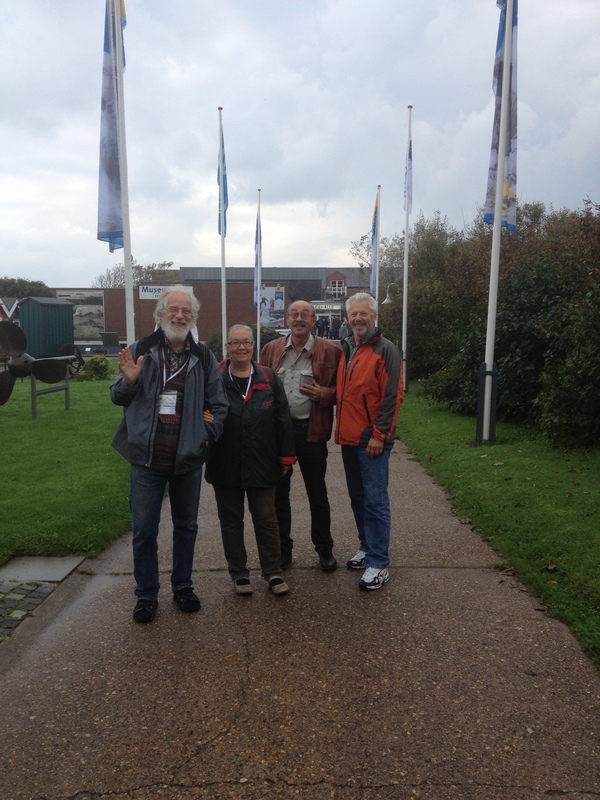 ← The 50th European Marine Biology Symposium – back where it started.